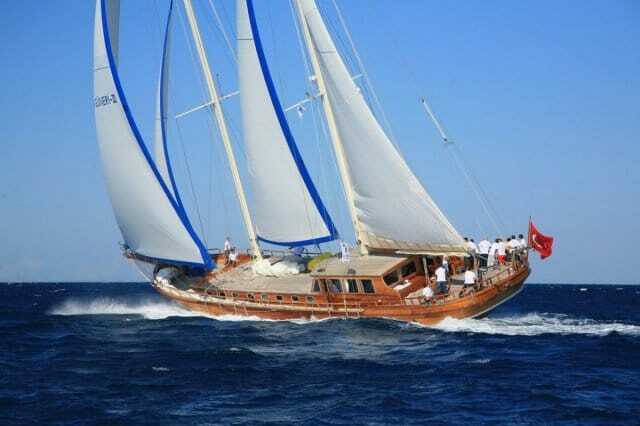 Bodrum Gulet Charter – So you’ve set your plans on a gulet charter from Bodrum. Your gulet is booked and it’s time to arrive and start your holidays. How exciting! Depending on your travel plans, you might not get a chance to explore Bodrum before or after your trip. Therefore if you have the few hours to spare while waiting for your gulet dreamboat to be ready; you might as well visit a few places worth seeing. The Bodrum harbor is a very colorful place – a bustling place. You can stroll along through the shaded streets lined with all types of shops for souvenirs and necessities. Starting from one end of the waterfront to the other, there are restaurants and cafes. From the municipal to privately operated establishments, have a seat, relax and take the load off your feet. It’s a pleasant time to simply gaze out to the beautiful harbor and watch the many stunning Turkish wooden gulets; coming in and going out of the harbor. World renown Bodrum, the city that rarely sleeps is home to much of the Southern coastal maritime history dating back hundreds of years. It is a place that draws the attention of visitors from around the world – all year round. While some harbors along Southern Turkey have more tourists from one, two maybe three countries – Bodrum is totally different. Visitors are from everywhere around the globe. Some say that perhaps Bodrum is Southern Turkey’s Istanbul on smaller holiday scale. Art, culture, history, authentic and varied cuisine – it’s all here. Bodrum benefits from the “no hassle” concept. This is such a nice relief and lets you explore the marketplace and harbor front peacefully and undisturbed. 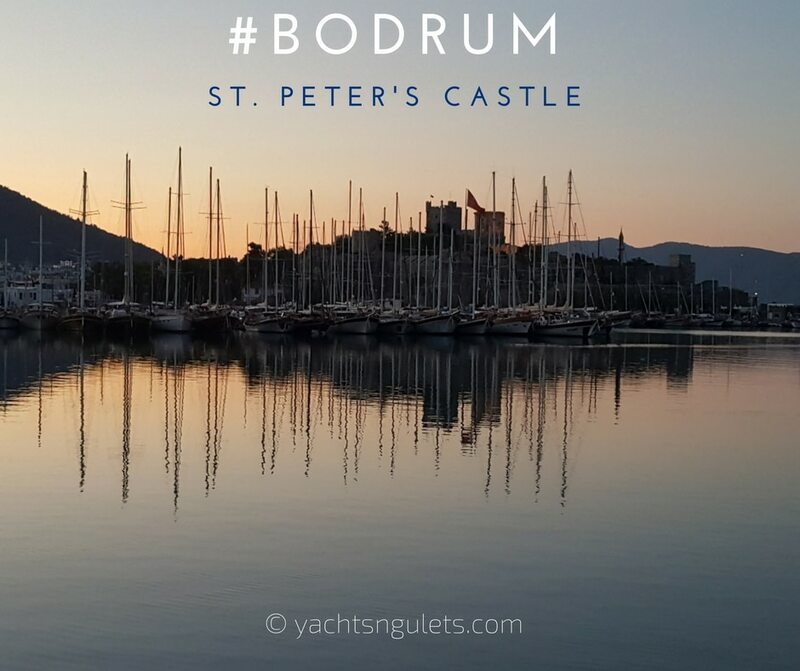 Bodrum also features the famous St. Peter’s Castle and Museum of Underwater Archaeology. These two places are located at the harbor or literally in front of where you would most likely be boarding your gulet. Concerts held at the Bodrum castle Craft and souvenir stand at the Bodrum harbor in front of the castle Bodrum Museum of Underwater Archaeology right at the foot of the St. Peter’s Castle. As you can see, there is much to do and see before you begin your gulet charter vacation from Bodrum harbor.